Don't cook? Don't worry. 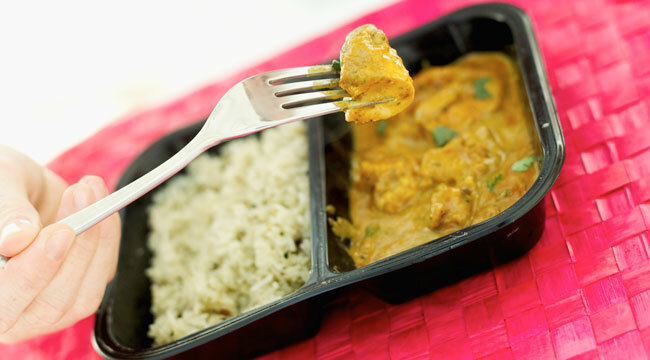 Healthy frozen food is out there - you just need to know where to look. Frozen foods have come a long way since Swanson first introduced its meal-in-a-box in the 1950s. Bland staples like turkey and mashed potatoes have given way to tandoori chicken and lemon-buttered fish. Sure, they’re quick, convenient and actually tasty, but are they healthy? Well, the good news is that choosing the right frozen dinner, pizza or lasagna may hold the answer to your hurry-up life. But make the wrong choice, and you could get enough sodium and saturated fat that you’ll want a cardiologist on speed dial. To make sure you don’t sacrifice your health (and your six-pack) for convenience, follow our stoplight guide to your favorite frozen foods. When frozen dinners were first introduced, they boiled down to nothing more than a few dishes of rubbery meat, bland starch and vegetables as fresh as an M.C. Hammer album. Now you choose a whole eating style. Will it be high-protein, low-carb or even vegan? Perhaps Thai, Indian or Italian rocks your world. Thanks to companies like Lean Cuisine, fat has steadily been reduced and replaced with whole grains, and Healthy Choice is leading the fight against salt licks. But for every good choice, there’s another that’s about as healthy as a Happy Meal. With little effort you can find frozen dinners with more salt than Atlantic seawater. To stop your blood pressure from going through the roof, choose green-light frozen dinners that have less than 700 mg of sodium and stop saturated fat at 3 grams while throwing in at least 3 grams of fiber and 15 grams of protein. (See our top picks, above.) Desserts and sauces can really jack up the sugar, so keep an eye on the sugar content and cap it at 10 grams. We rated dinners that contain at least 250 calories. After all, this is supposed to resemble a meal, not a glorified snack that’ll have you raiding the fridge in no time. Frozen dinners can be a little skimpy on calories, so serve them up with a protein shake for a better overall meal. And while you’re at it, toss in a cup of frozen vegetables for a fiber boost.